You may have read earlier this week that I’m still excited about fall, even though it technically doesn’t feel like it in Oklahoma, yet. It was 95 degrees yesterday and we’re slated with a high of 93 today. Those temps just don’t seem very autumn-like but since it is ‘technically’ fall I could care less. When I was a kid I loved candy corn. I loved “magic pumpkins” (the pumpkin shaped candy made out of the exact same overly sugary stuff) even more but I digress. 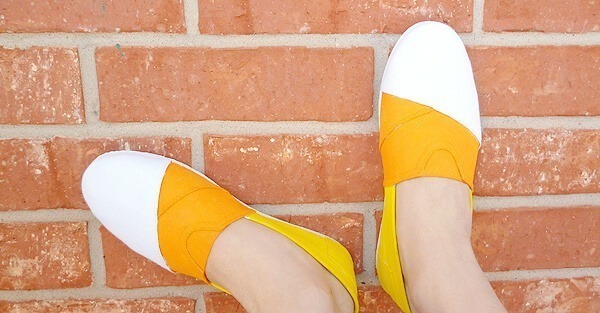 Looking at my pair of canvas faux toms I realized that they would make awesome candy corn. Some paint and a brush later and I was rocking my sweet themed knock offs and loving them. Want to make your own? If you have about 15 minutes to spare you can be rocking these babies as soon as they dry! Since candy corn are white on the pointy end, we’re going to leave the toe area completely alone. 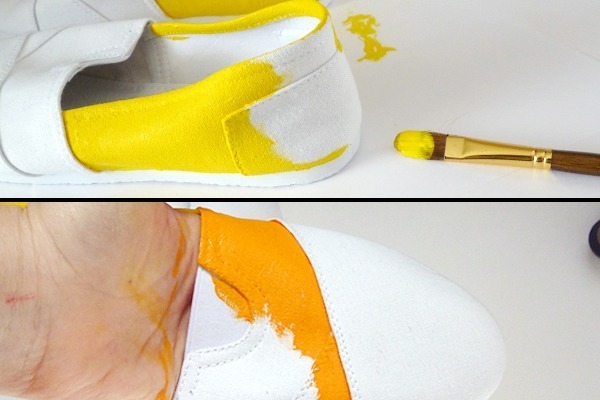 First you will follow along with the available seams to paint your heel yellow. Your seam should run at about the middle of the shoe. Then take your orange paint and fill in the middle portion from where the yellow ended up to the angled seam that starts the toe portion. If you don’t have fabric paint in these colors, you can mix acrylic paint with acrylic craft medium (sold at hobby stores). But to be honest, I painted a pair of shoes a couple of weeks ago and forgot to mix in the acrylic medium and you can’t even tell – but that is a totally unofficial statement! And here’s a bonus pic for all you fellow kitty lovers of my Max trying to help me paint my shoes and only getting in the way. Happy Shoesday! Where do you find these white canvas shoes? Hey gotta a question….Where do you get your blank shoes from? Hi, ladies! I buy my blank shoes mostly from Ebay. You can get a pair on this listing for $9.99 with free shipping There are tons others if you want to look around. Good luck to you both! Thnaks a bunch fro the info. 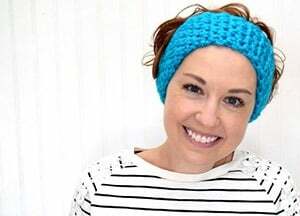 I can't wait to try some of your designs they are are so wonderful and very creative, never would have thought of them. Thanks so much, Bonnie! I appreciate your kind words! Thanks so much for this super fun shoe-do! I love it! It's the perfect way to add some Halloween fun to my wardrobe! I just wondered what brand of paint you used, and if you could tell me the specific color names. They look like the perfect candy corn colors. Thanks! Great, thanks! I went out & got my paints today. Now I just need the shoes, but I can't wait! Thanks again for the tutorial & paint info. I appreciate it. what a great idea. what kind of fabric paint do you use? Hey, Farrah – I used Folk Art acrylic 2576 Vivid Orange + Anita's fabric medium and Plaid Simply Screen 98503 Banana Peel for yellow. These are so cute! and perfect for fall! I found your blog over at the Wednesday Whatsits party! These shoes are so stinkin adorable! I just love it–going to pin it now to share with my followers! !